Learn the difference between used to, be used to and get used to. 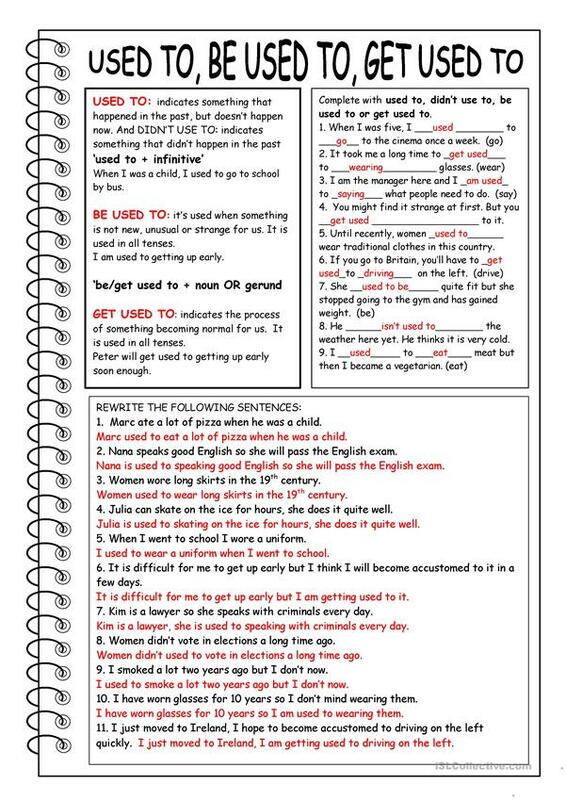 The worksheet tells the reader the difference between used to, didn't use to, be used to and get used to. With sentences to fill in the blank and then rewrite sentences. This downloadable teaching material is best suited for high school students and adults at Intermediate (B1) and Advanced (C1) level. It is great for revising Past tense: USED TO in English, and is excellent for honing your class' Writing skills. You will find the answers at the end of the worksheet.